1. Free BDS Promotion: At the close of US National Celebration, USANA announced our Free BDS promotion just for the US Market. From 4/16/16 through 5/16/16 all Associates in the US Market have the opportunity to leverage the free BDS promotion. All your new teammates need to do is generate 200 or 400 Sales Volume Points (SVP) to activate 1 or 3 Business Centers at the time of enrollment. It shows up as a line item on your teammate’s checkout with a price of zero, which is by far the best price, ever. Who do you need to be talking to today in order to take advantage of this great promotion? a. First, make sure all of your Road to Achiever program participants opt-in. In order to be eligible to earn this incentive all program participants must opt-in. c. If that new Achiever followed those rules and then enrolled 4 new Associates who in turn generate sufficient sales volume to activate a minimum of one business center (200 SVP) on their initial product order will receive one International Convention registration at no charge. *Participants are required to register for International Convention and if they earn the incentive a credit will be placed on account. We encourage all of our leaders in the US Market to gather your teams and launch your Road to Achiever training program today! 4. 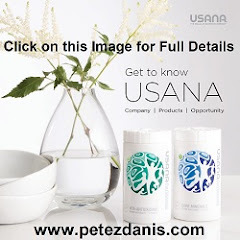 Dr. Oz Partnership – By now you have heard about USANA being a trusted partner and sponsor of the Dr. Oz show. Now that we have this amazing partnership, how can you use this to grow your business? We have all of the tools, tips, and resources to prepare you for each showing and product feature so that you can maximize the leverage of this partnership to grow your team and help your team do the same. This link will take you to those tools, and provide all of the information and the business plan for our featured product on the Dr. Oz Show! 1. International Convention 2016– WHO ARE YOU BRINGING? We are also excited about our 2016 Convention! This year Convention will be August 24 – 27, and with a lineup of speakers such as: Dr. Wentz, Dave Wentz, Dr. Oz, John C. Maxwell, Michael McQueen, Dr. Denis Waitley, and the management team, we are poised for another great year! In addition to the speakers, with the store, new and improved breakout sessions, networking opportunities, and plenty of other opportunities this will be another year you wont want to miss! Register now! You’re building your business. You’re advancing. Your commission checks are growing. We’ve noticed all the hard work you’re putting in. That’s why we’d like to reward you or your team members with a trip to the Leadership Summit. Summit qualifiers have the skills to build a business, and we want to help your team members build on the foundation that got them this far. When they leave, they will have the leadership skills needed to guide their team as it grows and their role evolves. Leadership Summit is open to Gold Directors and below who have not previously attended a Gold Retreat. The qualification period for the event is any consecutive 13-week period. 3. 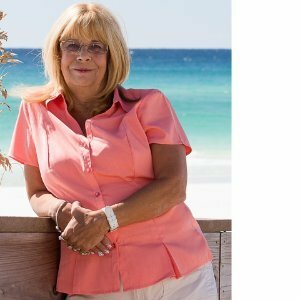 Success on the Beach – Have you opted-in for the Success on the Beach? Have members of your Team opted in? If not, there is still time for you and your team to opt-in. What does it mean by “opt-in”? USANA allows all Associates to work towards achieving our yearly incentive trip. By opting-in you are simply alerting USANA you are working towards the trip, so we can track your progress and alert you when you have reached certain point milestones. However, you MUST Opt-in in order to actually win the trip. Once you opt in—and everyone has to opt in—we will track your growth in Commission Volume Points (CVP) from July 4, 2015, to July 1, 2016. We will compare that to your CVP growth over the previous year. Also, by opting-in allows this you and your team the opportunity to track your progress and achieve your goals. PLUS, if you achieve your goals and qualify for the trip – you get to spend time in the sun and have fun with your USANA Team. Additionally, USANA will be sending out a customized email to those Associates who have opted-in to show progress and help you and your teams plan for the rest of the qualification period. We have 9 weeks left in the qualification for the Success on the Beach trip. 4. Executive Ruby & Emerald Retreat – White sands, clear water, and a spectacular spa. From November 15 to 20, 2016, you’ll be treated to stunning Royal Beach Rooms at the Costa Rica Westin Golf Resort and Spa during Success on the Beach. You’ll enjoy six days in paradise at the world-class, all-inclusive jungle resort—not to mention the excursions and extra perks you’ll get along the way. Airfare is not included, but you can earn it as part of Success on the Beach. Then all you have to do is sit back, relax, and soak in the rewards of all your hard work. 5. Executive Diamond Summit –The Executive Diamond Summit will be held February 2017 in Tahiti! You will have until October 21, 2016 to qualify by earning Executive at your new Diamond or Star rank. With a 13-week Commission Volume Point requirement, it’s something you should start thinking about now. And there’s a lot to think about. This will be an amazing trip—worthy of the massive accomplishment of building a solid business as you climb to the highest heights. 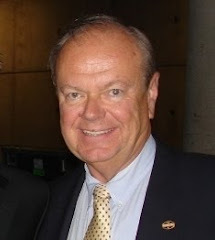 If you have been in network marketing for any period of time, then you are familiar with Eric Worre, and the 35 Reasons Why Network Marketing Could Be Your Best Option always says, “Network Marketing Professionals, Have A Better Way”. This to me is so true, but I understand, that not everyone can see it or understand it. I am going to give you 35 Reasons Why Network Marketing Could Be Your Best Option, although I could give you even more. If you are new to network marketing or are considering network marketing, in today’s economy it will be the best decision you could make. To be really successful in network marketing it is very important to understand why you should even bother. I decided that to help you with either your belief or with what prospects say, you will have some great information to share. #1. 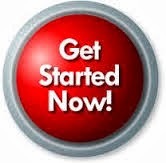 Low cost of Entry: In most network marketing companies you can start for less than $1,000. If you consider starting a traditional business, generally speaking, you are looking at $50, 000 minimum investment, just to open the doors. If you are considering a franchise type business, the investment is far greater, well over $100k, and most of the owners do not even start to see a profit for over 5 years. My question would be which would you rather invest, less than $1,000 or $50,000 or more? #2. No Website To Develop/Design/or Maintain: This is huge. If you have ever hired anyone to create a website for you and optimize it, then you know it cost well over $1,000, plus you can spend hours keeping it updated. All of this is done for you in most network marketing companies. #3. Work From Anywhere: To me this is priceless. I can work from my laptop, anywhere in the world where I have an internet connection. Plus I do not have the overhead of a brick and mortar business. If anything changes in my life where I move to another state, city, etc. my business is portable, because I can work it from anywhere. #4. No Employees: This in itself should make you take a serious look at network marketing. You do not have the payroll worries, the tax worries, the workers compensation worries. If you have ever had a traditional business you will understand that all the cost associated with employees is a lot more than just the wage or salary that employee is paid. #5. No Billing/Account Receivables: You do not have to worry about billing any of your customers, or collecting any money, that is all handled online, and the products are drop shipped for you with most companies. If you have ever had a traditional business, then you will definitely understand how big this can be. In addition, traditional business sometimes must wait 90 days to collect their money. #6. Your Own Schedule: To me this is big. If I have a doctor’s appointment, I do not have to ask for time off. Now to be very fair here, when you can set your own schedule, it is also easy to not work your business in network marketing. You must become discipline if you want to grow the business. In a traditional business the same holds true as well, however, you have a far greater investment at risk. #7. Tax Benefits From A Homebased Business: With a home-based business you will receive some of the same tax breaks that the rich are already taking advantage of. You can have access to over 250 tax incentives that rich people know about and take advantage of! The tax benefits alone are generally greater than the cost to get started. I did a blog post a few months ago on just 6 of the tax benefits, which you can Check Out Here. #8. There is No Discrimination Between Men/Women/Age/Race: Everyone who enters network marketing has the same opportunity as the next person to succeed. #9. No Corporate Ladder: In corporate America there are only so many open positions at the top. That means some win, others do not. In network marketing, you control how far you take your business. If you want it to go to the top, no one will tell you that you can’t. In corporate America, that is not the case, because not everyone can go to the top. #10. No Commute: Imagine the time you save from commuting back and forth to your business, or job. One thing we can never get back is time. Time is something we all need to guard and make the most of. I personally do not consider sitting in rush hour traffic a good use of my time. #11. No Inventory: Most network marketing companies no longer require you to stock inventory, as it is drop shipped to your customers. In a traditional business, not only do you have money invested in the inventory, but you also must or pay someone to keep track of your inventory. #12. Security: Every day we hear of companies laying employees off. In America, and this economy there is no such thing as job security. Today, a shrinking job market, and technological advances leading to fewer and fewer people needed to do the same job, security no longer exists. What’s more secure…having one income stream with a job where you could be outsourced or downsized in an instant, or additional income coming from a network marketing business? Today, jobs are the risky option. When you have your own network marketing business you have the stability of your network. Yes, even in network marketing, there are companies that come and go, those companies, however, cannot take your network. That is your security in this business. #13. No One Can Tell You What You Are Worth: Your worth is not determined by anyone else, or anyone else’s needs. You determine your own worth by building your business. #14. You Are Your Only Limit: This can be a two- sided sword for some, but the bottom line is you determine the amount of success or failure you have in network marketing. It is like anything else in life. You get out of it what you are willing to put into it. If you show up and work your business consistently, grow yourself, success will happen. So the only limit is the one you put on your business. #15. No Income Ceiling: Wow how often do you see that? The truth is if you devote 3 to 5 years at truly growing your business, it will continue to grow, even as you put less time into it. I would never tell anyone to stop growing your business, but there are many who have basically retired, and continue to get paid month after month, from the efforts they put in at the beginning. Not too many business models can say that. #16. Residual Income: Some people understand this amazing benefit, but many more do not understand the power of it. Insurance agents definitely can appreciate the power of residual income. Most people only get paid when they are on the clock, or the business is open, or clients are being billed, or products produced. Network marketing allows you to get paid a residual income, even when you are not working, plus it can grow from month to month. #17. You Receive The Help, Encouragement, and Support From Others In The Profession: This is a great benefit in my opinion. Everyone is willing to help each other. In corporate America, that is not generally the case. Everyone is out for themselves, clawing their way to the top. If they help you very much, it could be to their disadvantage. #18. Training Already In Place And Readily Available: Because Network Marketing is a system which has many independent distributors, the companies typically have trainings available at your fingertips. In traditional businesses, you experience trial and error. Network Marketing offers a training system that is designed for easy duplication and easy to teach. #19. Your Own Personal Growth: This is big in my personal opinion and is synonymous with network marketing. The personal growth you must experience along with the growth of your business is essential. You become a better person, which improves so many other areas of your life. #20. You Build Social Skills: You may or may not have ever considered this, but to me personally, this is one of the things I love about network marketing. You must grow, especially if you want a large income. You must grow to become the person that helps others, encourages others, and helps others to also get what they want out of life. #20. Network Marketing Allows You To Help Others On A Massive Scale: The ripple effect that your business can have on others can be larger than you could ever imagine. Your personal impact can touch more people than you will ever even know about. To people who love to help others this is a huge benefit. #21. Scalability: This is something that in any other business is not possible without growing their infrastructure. In network Marketing, you can grow your income as well as your customer base without having to grow your infrastructure. #22. International Possibilities: Most network marketing companies are now doing business on the international level. This will allow you to build teams all over the world. Imagine the value of this. Even when you are sleeping, your team in other countries are working. Plus as your teams grow, you can travel internationally to those locations and write your entire trip off as a business expense. To me that is a win-win. #23. Leverage Time And Network: With the network marketing business model you are able to leverage your time by leveraging your network. I once heard would you rather have the efforts of one person, or forty people’s efforts when it comes to making money. Personally, I know the efforts of forty people puts the odds more in my favor for making a good income. Now that is just an example, of course, the more people on your team the larger your income. #24. Quickly Profitable: If a person just works their business part time in network marketing, it does not take them very long to become profitable. Unlike traditional businesses, which generally speaking takes three to five years before they even think about seeing a profit. #25. Ability To Build Your Fortune Not Someone Else’s: If you are working for someone else, which most people who come into network marketing are doing, then you are actually building someone else’s fortune for them. You are exchanging your time for money, and growing their assets. You are earning a living and the owner is building a fortune. Odds are you are making 10X less money, but also paying twice as much in tax. In network marketing, you will build your wealth, and gain tremendous tax benefits as well. #26. Ability To Build Your Business By Using The Internet: The internet is changing the world as we use to know it. In this day and age you can grow your business online, and have a far greater reach and audience for your business. With a traditional business, yes this can be done, depending on the type of business, but the cost for a traditional business can be far greater than what you will experience because you are reaching out to people one at a time. #27. Taking Advantage Of The Population Boom: In case you did not really give it much thought, the population is currently expanding exponentially. Take a look at the World Population Clock and you will see that the population is going off the chart. This explosion can cause problems for some businesses. but is great for people businesses like network marketing. #28. Ability To Involve Your Kids: Since you can work your business from home you can involve your kids, and teach them a strong work ethic and social skills. You can work around your schedule, the kids can be around and also see what you do, how you do it, learn how to be entrepreneurs, as well you can also involve them in your business and have them do projects you choose for involving them in your business. #29. Ability To Retire With Security: Unfortunately many people are retiring today and dependent solely on social security. Living month to month, and if they do have some savings, which most do not, they are one major incident away from that savings being wiped out. With the ability to build residual income in network marketing, then income keeps coming, and can even continue to grow, month to month. Allows people to retire with more security and income. #30. Ability To Create Your Own Security: In today’s economy, there is no longer such a thing as job security. Companies are downsizing, and outsourcing on a daily basis. By building a network marketing business you can create another stream of income. Which offers you more security? One income stream from your job, that could be outsourced, or down sized at your employers discretion, or multiple streams of income, from a network marketing business that you are able to start on a part-time basis with a low startup cost. In today’s economy, by only having your Job, that is the risky option. #31. Ability To Retire Younger: In your typical work life, people build other people’s dreams for 40 to 50 years to retire on 40% of the income they are accustom to, and had a hard time living on. With network marketing, you have the ability to build your business in 3 to 5 years, and retire while your income continues to grow. Now I am not saying to just quit and do nothing, although there are ones who have done just that, to me the better option is to continue to share, but you can slow down and enjoy the hard work you put in for 3 to 5 years and see it continue to grow. #32. Paid For Vacations And Paid While You Are Vacationing: To me, this is a real win. Most companies have incentives that offer you completely paid for vacations. It is great to have paid vacation, and yes most companies do offer that, but network marketing even has incentives to pay for that vacation and your business pays you while you play. I will be happy to take that Italy vacation thank you. #33. Ability To Work In A Stress Free Environment: With the increasing population and more and more jobs being outsourced, there are less jobs available. Employers can pay less and require more, and that is happening every day, people are now working in a FEAR based environment. With network marketing you are working from the comforts of your home, and the fear and stress are far less. You are creating your own dream, not someone else’s. #34. Friendships: We have all built friendships at our Jobs, but the friendships I have built in network marketing are far different. The friendships you develop from your network marketing business are different. These friends all have a lot in common, with their goals, mindset, objectives, encouragement, and beliefs. I have made some of the most amazing friends unlike any I had ever had before network marketing, and they are lasting friendships. #35. Recognition And Appreciation: In network marketing companies recognize you for your hard work and achievements. When you join a network marketing company you become a part of a strong community that want YOU to succeed and are willing to help you and show you how, because your success benefits everyone. How often do you really find that in your job. My experience has been rarely. I understand that network marketing is not for everyone, but to me it is a better way. If you are considering network marketing, or if you are already a part of network marketing I hope this helps you to appreciate what a great opportunity you are a part of. It is like anything else in life, but it pays so much more. The friendships, personal growth, helping other people, are all priceless. I have given you 35 Reasons Why Network Marketing Could Be Your Best Option, there are many more, but I think you can determine from these if this profession is for you. SALT LAKE CITY, April 28, 2016 /PRNewswire/ -- As USANA Health Sciences continues to expand its global reach, so does the number of Olympic and world-class athletes that trust their health to its high-quality products. The latest to team up with the nutritional company are top Colombian soccer clubs Atlético Nacional S. A., América de Cali S. A. and Jaguares Fútbol Club S. A.
USANA is the Official Nutritional Supplement Multivitamin of the three clubs and will provide its high-quality, NSF-tested nutritional products through its Colombian office. The teams join England's AFC Bournemouth and Mexico's C.F. Pachuca as the latest clubs to supplement their health with USANA's award-winning products. "As a leader in the health and wellness industry, USANA offers only high-quality and pure supplements to the elite teams and athletes that choose USANA to supplement their active lifestyles with our products. To partner with these three accomplished and iconic teams is an honor and testament to USANA and its award-winning products," said Carlos Pastrana, general manager of USANA Colombia. Atlético Nacional is Colombia's biggest soccer club and currently plays in the Categoría Primera A. The club has won a total of 19 domestic titles—15 league titles, two Superliga Colombiana titles and two Copa Colombia titles—making them the most successful team in the country. "We chose USANA because its high-quality products are backed by scientific support that give our athletes peace of mind," said María Alejandra Alzate, nutritionist of the Atlético Nacional S.A. Founded only four years ago, Jaguares de Córdoba also currently plays in the Categoría Primera A, while América de Cali currently competes in the Categoría Primera B and holds thirteen national championships. "USANA supplements are a fundamental part of helping keep our athletes in peak performance, which is crucial for each team member playing on a professional level," said Jaime Andrés Roa, doctor of the America de Cali. Trailblazer. Revolutionary. Pioneer. Visionary. Pick the word you like best. They all mean virtually the same thing. And they describe a man who stepped into the unknown and, through bold innovation and impassioned vision, shed light on an entirely new path to health. You can also call him by name—Dr. Myron Wentz. It’s synonymous with scientific brilliance and the kind of disruptive innovation that accelerates the sluggish pace of science—and changes the lives of millions in the process. You aren’t born with the passion and vision required to alter the world. If only it were that simple. The creation of monumental change comes at monumental cost, too often paid in the currency of personal tragedy. At 17, Dr. Wentz lost his father to heart disease. He was the first of many family members taken too soon by degenerative disease. These traumatic events forced a talented young musician named Myron Wentz to look for solutions in his other love—science. Over the course of his life, these losses galvanized into a purpose-driven vision to improve the health of people all over the world, to save them from living too short and dying too long. And that vision made possible the long list of innovations and accomplishments listed next to Dr. Wentz’ name: internationally recognized microbiologist, pioneer in the development of human cell culture technology, developer of the first commercially available diagnostic test for the Epstein-Barr virus, and winner of the Albert Einstein Award for Outstanding Achievement in the Life Sciences. If you’re going to improve the health of people around the world, your first instinct might be to start with something big. But Dr. Wentz found a different path, as pioneers do. He started small—microscopic—with the health of single cells. Like countless other scientists, Dr. Wentz had spent a career culturing healthy cells. But he had the vision to see what so many others missed—cells need to be nourished with advanced doses of the right kind of nutrients and antioxidants to stay healthy. This discovery disrupted nutritional science and led to the development of the revolutionary USANA® Essentials™—well before “antioxidant” was a buzzword. Dr. Wentz had the vision to see a guiding light in the darkness of the undiscovered and the courage to chase it into uncharted territory. With his trailblazing work in cellular nutrition, both at Gull Laboratories and at USANA, he has led millions around the world toward healthier, happier lives. And Dr. Wentz isn’t done yet. The flame of innovation still burns brightly at USANA, fueled by the vision and insights of the same man who sparked it over two decades ago. 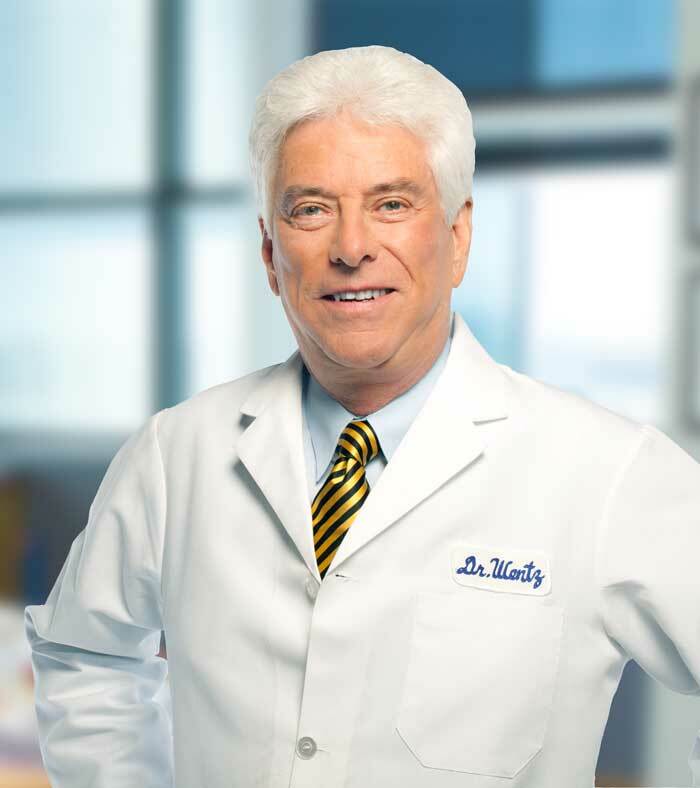 With Dr. Wentz’ visionary leadership and the peerless scientists in our research and development department, we are now standing on the precipice of a new era in nutritional science. Be there on August 25th, 2016 to hear the groundbreaking news. USANA: "We Need More Leaders!" Excuse Buster 20 of 22 - "I've Already Tried." Network Marketing is for People Who Want More!